Oatmeal. Love it or hate it there’s no denying oatmeal is here to stay as being a staple health food. For a long time I struggled figuring out a yummy way to prepare and eat it. However, my sweet tooth always gave in and I would bombard it with brown sugar, butter, and more. Success for my sweet tooth! Epic fail in the health realm. Enter my trip to Vegas a few weeks ago to visit my best friend Aiko. 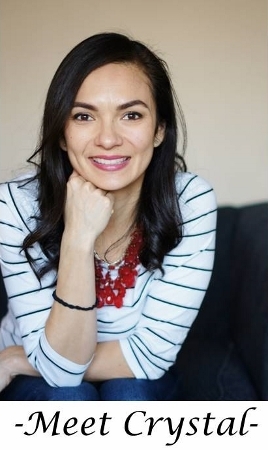 She introduced me to a way to eat oatmeal I had never even thought of and has completely transformed my mornings! How I never thought to incorporate my Korean background into my oatmeal is beyond me (Aiko has a Japanese background). 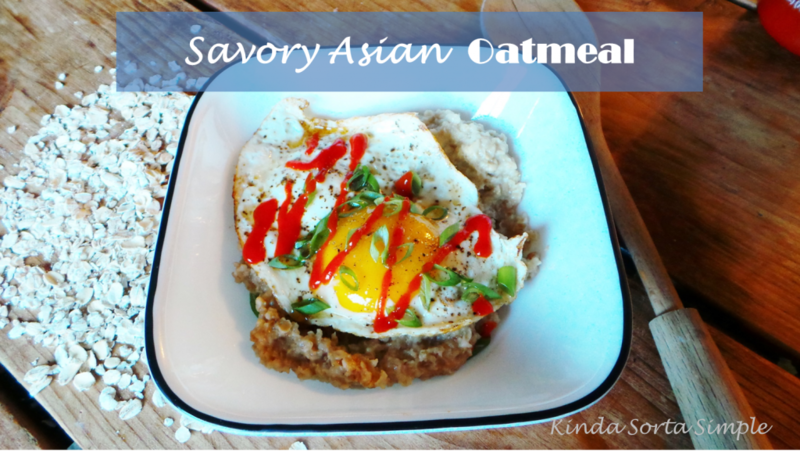 But now that I have tasted this Savory Asian Oatmeal, my breakfasts will never be the same! Here it is after adding my favorite condiment next to kochujang: Sriracha! Breaking the yolk and filling my bowl with all its golden glory. A big hearty AND healthy breakfast? I will sign up for that any day of the week. Or every day for that matter. I heart this breakfast. 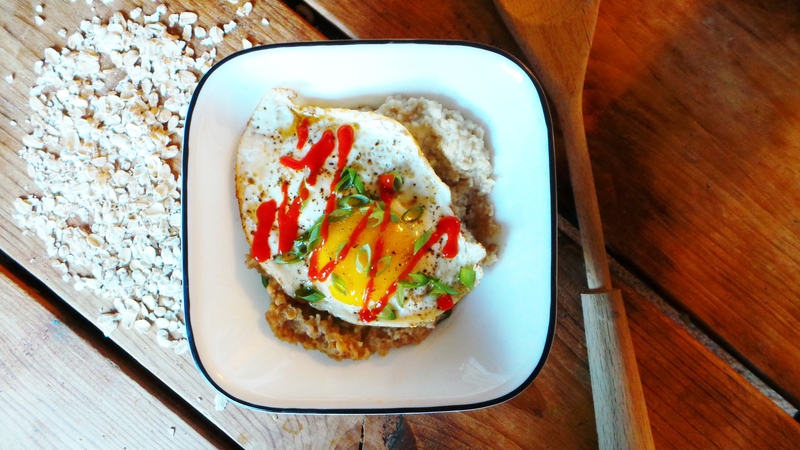 This Savory Asian Oatmeal is a healthy and hearty way to start your mornings! In a medium bowl cook oatmeal with water according to oatmeal instructions. Meanwhile, heat a small frying pan on medium heat, then fry egg until the white is cooked but the yolk is still runny, about 3 minutes. When done, remove from pan and set aside. After oatmeal is fully cooked, stir in soy sauce and gently mix. 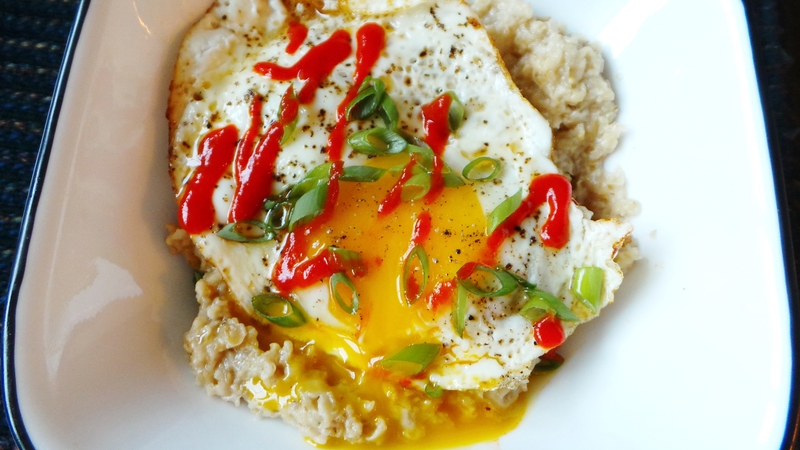 Then place fried egg on top of oatmeal, drizzle on some sesame oil and Sriracha, and add the chopped green onion before serving. 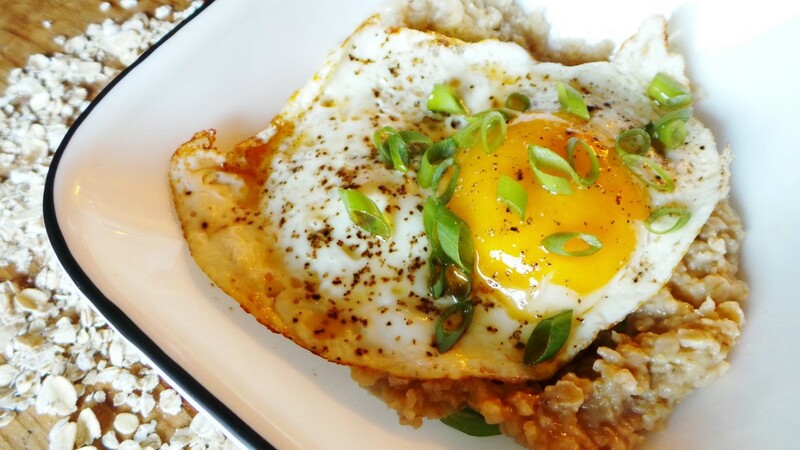 Use a spoon to mix up the egg with the oatmeal when ready to eat. 1. 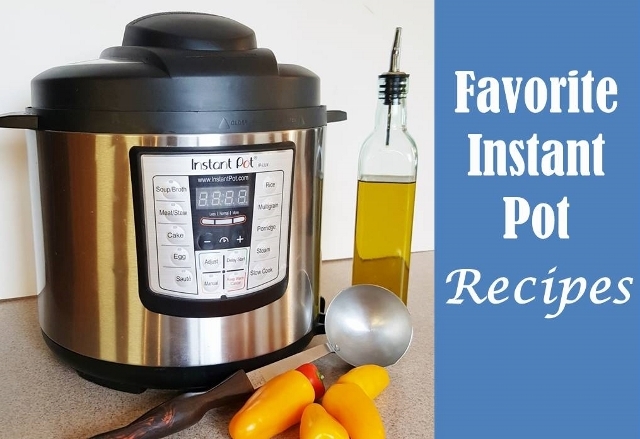 You can definitely add other ingredients to this such as onions, mushrooms, carrots, and more. 2. Sometimes I like to sprinkle just a pinch of sugar to add a bit of sweetness. There goes my sweet tooth again! 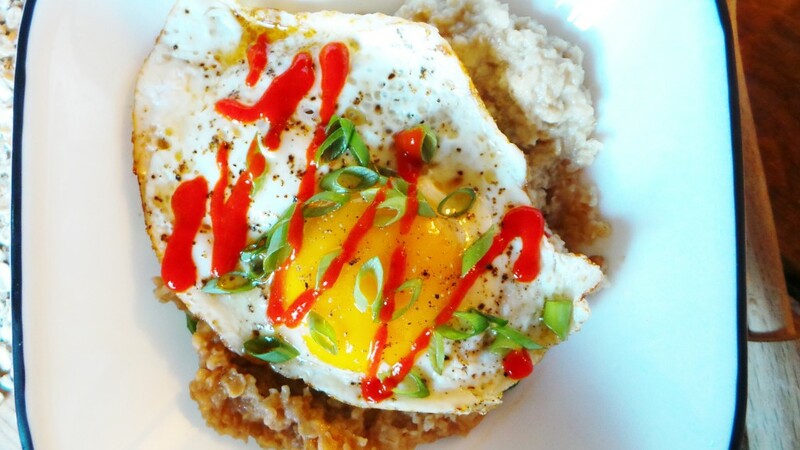 Who says oatmeal has to be sweet? 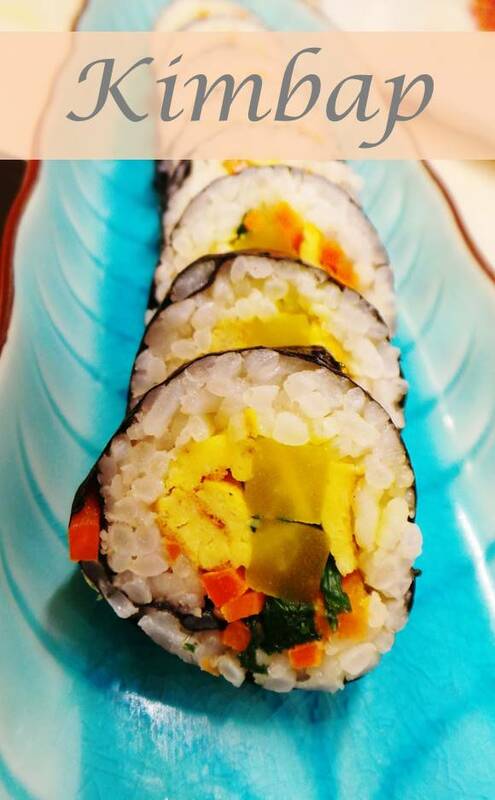 What’s great about this recipe is that you can add any vegetables you like and I may try adding some kimchi to it next time. 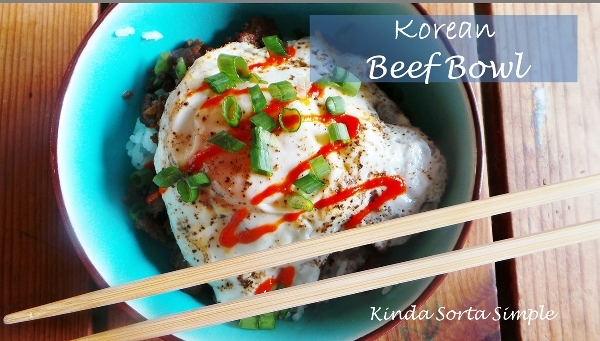 This is like the breakfast version of my Korean Beef Bowl I shared a few weeks ago. How do you eat your oatmeal? Is it usually sweet or savory? 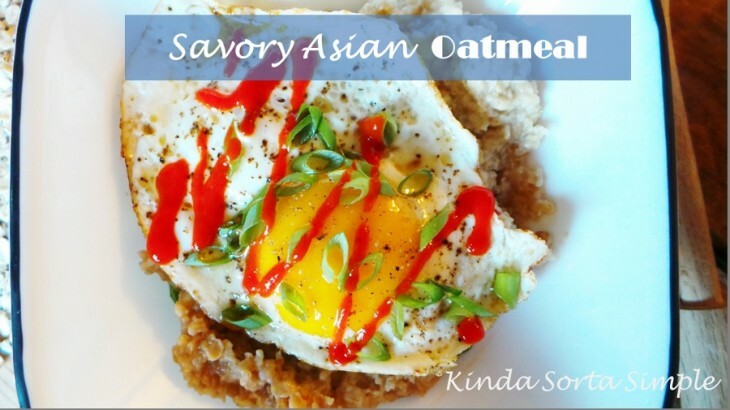 All, Food Asian, Breakfast, egg, Korean, oatmeal, recipe, savory. permalink.